In one day, you will enjoy a leisurely 2-3 hour mountain-bike ride, and 3 hours kayaking on the crystal clear waters of Lake Taupo. We start our day in Whakaipo Bay just west of Taupo, where we bike the Grade 1-3 track over the headland towards Kinloch Bay. There is an alternative option along the headland loop, offering coastal riding and spectacular views, or a shorter route over the hill leads to a lookout for a well earned rest and endless views toward the southern end of the lake. The relaxed descent into Kinloch Bay travels through bush-clad tracks with fantastic unspoiled views of the glistening lake below. 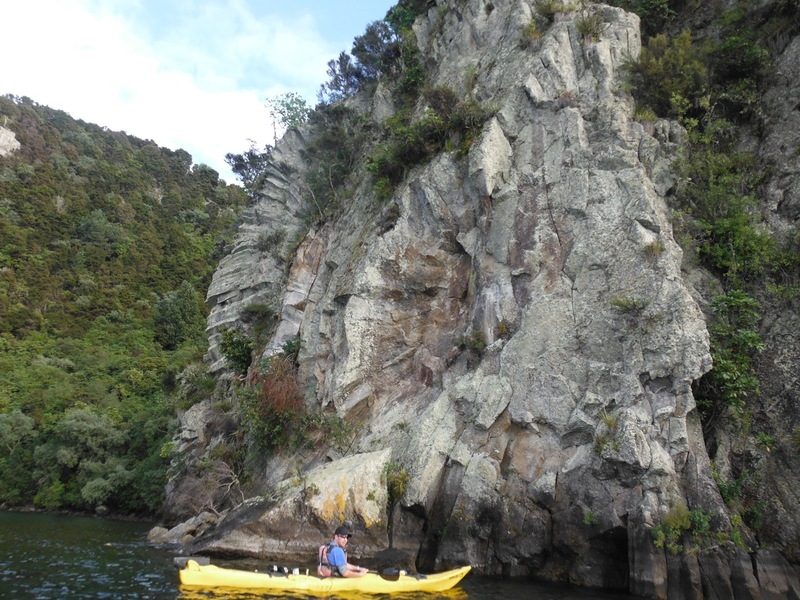 After a lunch stop in Kinloch Bay, we set off on our kayaking journey around the headland towards Whakaipo Bay. We will pass sheer tree-lined cliff faces that drop into the lake, and spectacular volcanic rocks that emerge from the clear blue waters of the magnificent Lake Taupo. We will enjoy a gourmet afternoon tea at Whakaipo Bay, before returning to Taupo by road. Board a boat (11 metre Catermaran), and enjoy a complimentary glass of bubbly or beer while returning to Taupo via the world famous Māori Rock Carvings, or return by float plane, for the more adventurous.